Will Solar Ruin My Roof? Home / Blog / / Will Solar Ruin My Roof? No. A solar installation will not damage your roof in any way. This is a concern for some customers, especially if they have just spent thousands of dollars on installing a new roof. We use industry standard installation processes and take the utmost care to install your solar system properly. Some customers also have questions about roof warranties and whether solar panels will void their warranty. Paradise Energy Solutions will happily double check with your roofing contractor to make sure the solar attachments are not voiding your warranty. 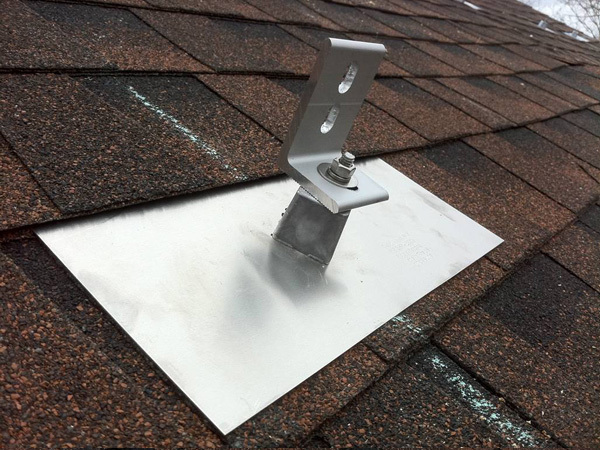 For asphalt shingle roofs, we utilize the PV Quickmount product which features a piece of flashing that is installed underneath the shingle so that lag bolt can be set into rafter without any danger of leaking. For Corrugated steel roofs (most agricultural applications) we utilize the S5! Corrubracket with four galvanized roofing screws. These are the very same screws your roofing company uses to fasten the steel roofing material down. 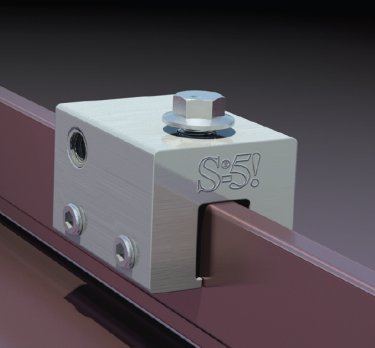 On standing seam roofs, the S5! 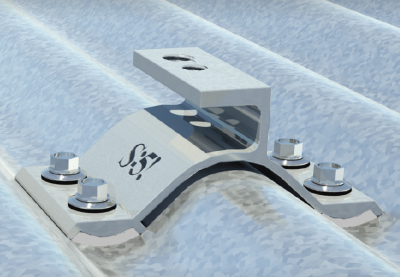 U-Mini clamp attaches directly to seams on roofing material, eliminating the need for any penetrations into the roof surface. The typical photovoltaic system adds approximately 2.5 – 2.7 lbs. per square foot to a roof structure. Ninety-five percent of all buildings already have enough structural support built-in to accommodate for the additional weight of a solar system. However, Paradise Energy Solutions performs a structural analysis for all commercial buildings and older residential structures to provide evidence of structural integrity to support additional solar system weight.